Ahhh, Aren't they a lovely couple... Jen has about 1 more week until her due date. She and Keith are in Washington, DC awaiting the moment. 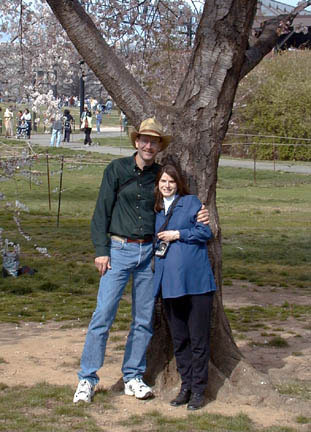 We went to see the famous blooming cherry trees on March 30, 2002. Congratulations! Connor Christenson born April 2, 2002. Here, Connor, 17 days old, sleeps happily in Mom's arms.